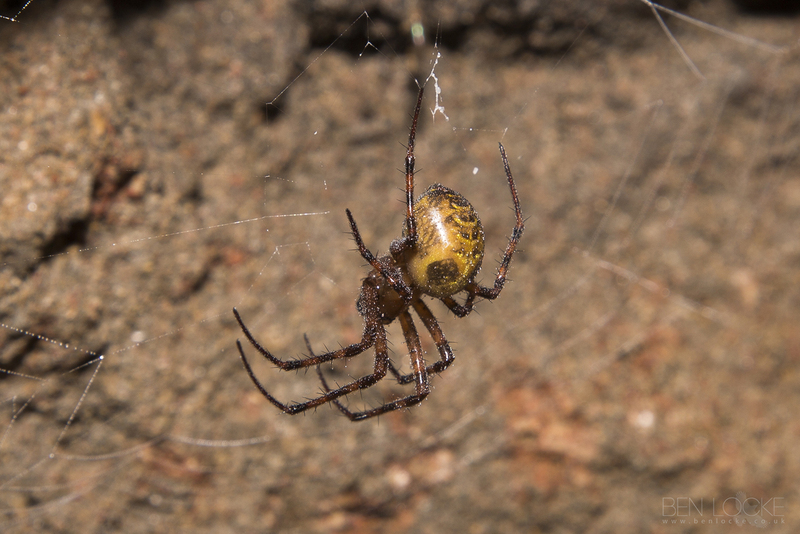 The European Cave Spider lives exclusively in dark and damp places, such as caves, mines, sewers, etc. I found this particular one in a cave in the Forest of Dean. It feeds on hibernating moths and butterflies, millipedes and slugs, etc. A few egg sacks were also suspended from the cave ceiling. Although they are photophobic, they will emerge from their caves around dusk to hunt.